Linda H. Cann sends Martha Berry a $5 donation that was intended as an Easter offering. However, she received the donation from Mrs. Nellie Verdow and S. S. Clash to send too late for it to arrive on time. 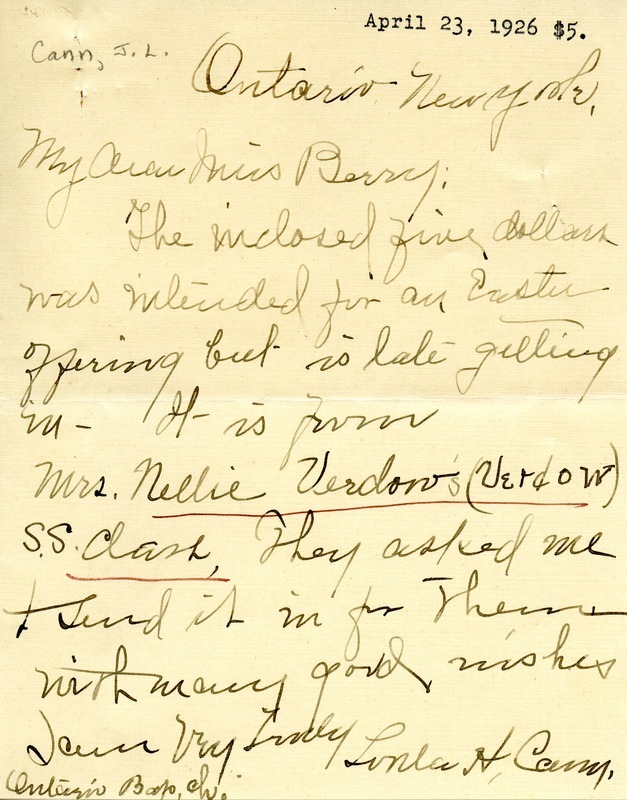 Linda H. Cann, “Letter to Martha Berry from Linda H. Cann.” Martha Berry Digital Archive. Eds. Schlitz, Stephanie A., Lindsey Purvis, et al. Mount Berry: Berry College, 2011. accessed April 21, 2019, https://mbda.berry.edu/items/show/1201.